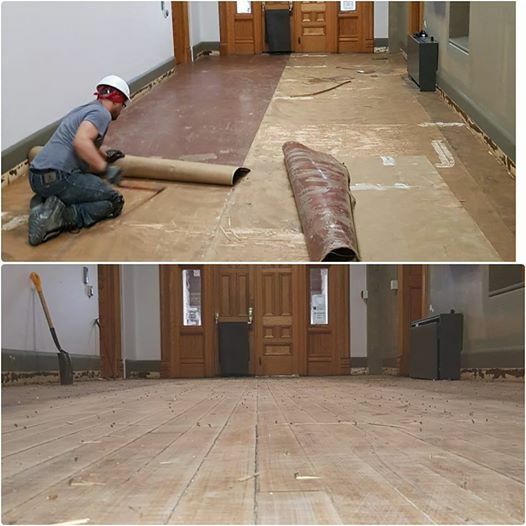 With highly specialized equipment and expertly trained flooring removal staff, PRO-floor removal is the one call you will have to make when you need to quickly and effectively rid your job site, building or project of unwanted carpet, ceramic, wood and vinyl (VCT) tile. In half the time of other methods, our PRO-floor equipment can cut through the most stubborn of old flooring. Combine PRO floor removal, with our mastic removal systems and Protec can bring the floor at your project back to bare concrete ready to be refinished. Ask about our concrete leveling or finishing options. Call anytime for a free quote. 519-902-0246. Protec. The infrastructure specialists you've been searching for.